Crimson Clover, Faba Bean, Buckwheat and Field Peas. 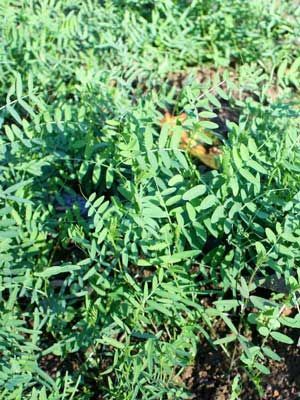 Sow hairy vetch in autumn so the plants can become established before cold weather comes. Broadcast seed into cultivated soil so that the seeds are about 7 cm (3in) apart and 1 cm (1/2in) deep. No thinning is required.